The “case method” is an approach to education and research that fosters learning through in-depth observations in a field setting. Popularized by its use at Harvard Business School, it is lauded for the way it connects researchers to practice and fosters active learning. 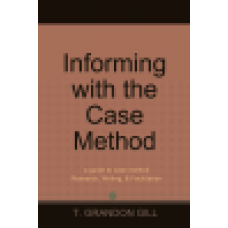 Informing with the Case Method has been written as a guide to the faculty member interested in applying the case method to teaching and research. It differs from the many books on the case method already on the market in a number of ways. Specifically, it assumes that its reader comes from an institution that does not necessarily have a strong case method culture and may be interested in applying the approach to areas outside of business. 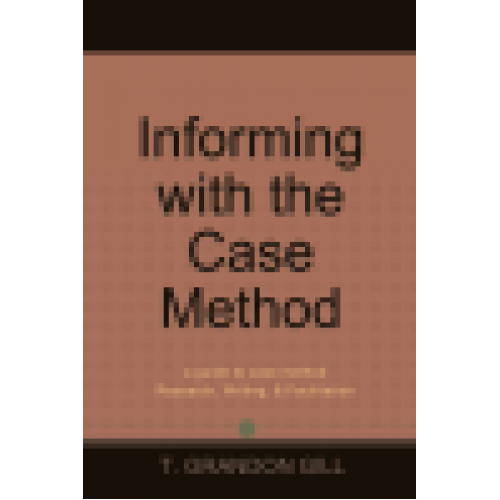 Based upon the author’s wealth of experience, it answers questions such as: • How does the case method differ from other uses of case studies? • What types of cases are there? • What characteristics may a subject a good candidate for the case method? • What are the activities common to all case writing? • What activities are unique to case method research? • What activities are unique to developing discussion cases? • How are multimedia case studies developed? • How do you design a case method course? • How do you facilitate a case discussion? • Can the case method be employed effectively in an online environment? The book concludes by showing how an integrated program developing case and using case studies for research and discussion can dramatically increase an institution’s impact on practice. Accompanied by extensive appendices to illustrate different approaches to case writing and samples that will be invaluable to both the inexperienced and experienced reader, Informing with the Case Method will be an invaluable guide to anyone seeking to energize their teaching and research.